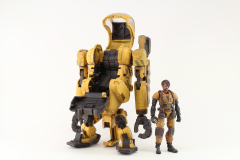 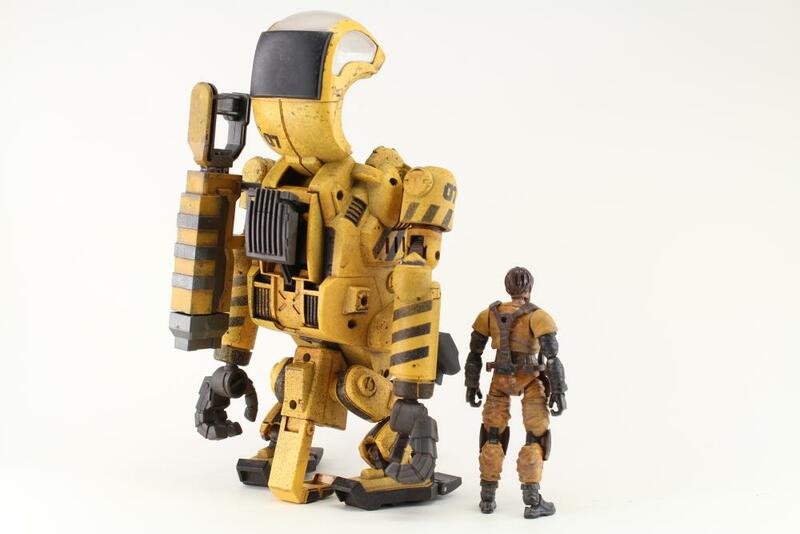 Laurel Worker is a 1:18 fully painted industrial powered suit with highly detailed weathering effects. 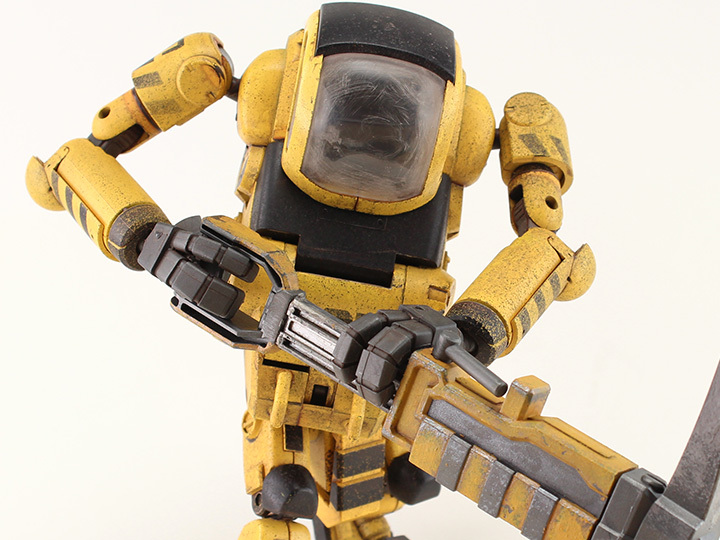 The cockpit with hatch features a linked mechanical structure between hatch and main engine, and is built to accommodate the engineer pilot (included) or any other 1:18 figures. 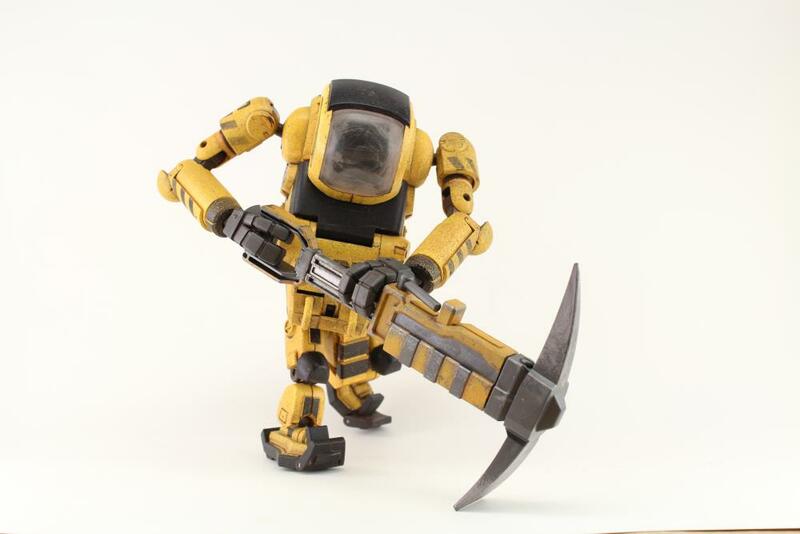 Additional accessories include an extendable hoe.